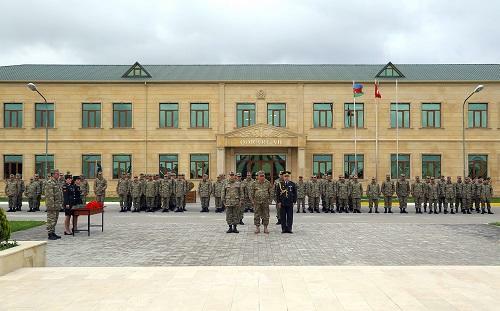 Armenian armed units violated ceasefire with Azerbaijan 127 times from large-caliber machine guns on various parts of the contact line of Azerbaijani and Armenia troops in one day, the Azerbaijani Defense Ministry said on Feb.8. 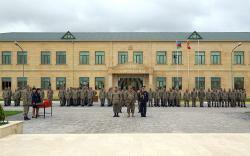 Armenian armed units stationed in the village of Voskevan Armenia’s Noyemberyan district, Berkaber and Paravakar of Ijevan district fired on the positions of Azerbaijani armed forces located in Kohnegishlag village of Aghstafa district, Gizilhajili, Gushchu Ayrim villages of Gazakh district. 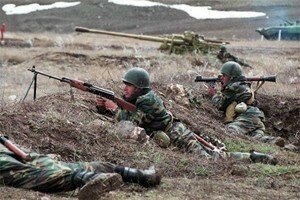 Azerbaijani positions located in the villages of Aghdam, Kokhanebi of Tovuz district fired underwent fired from Armenian positions located in the villages of Mosesgekh and Chinari of Berd district. Moreover, Azerbaijani positions located in nameless uplands of Gadabay district came under fire from the positions located in nameless uplands of Krasnoselsk district. Another ceasefire violation came from the positions located near the villages of Talish and Gulustan villages of Goranboy, Goyarkh, Chilaburt, Chayli of Terter district, Shikhlar, Novruzlu, Jevahirli, Kengerli, Sarijali, Shuraabad, Merzili, Garagashli, Yusifjanli, Namirli of Aghdam district, Kuropatkino of Khojavend district, Horadiz, Garakhanbeyli, Gorgan, Ashaghi Seyidahmadli of Fizulu district, Mehdili of Jabrayil districts, as well as in nameless uplands on Goygol, Goranboy, Khojavend, Fizuli and Jabrayil districts. In consideration of the operational situation, Azerbaijani armed forces inflicted 128 strikes on enemy positions.